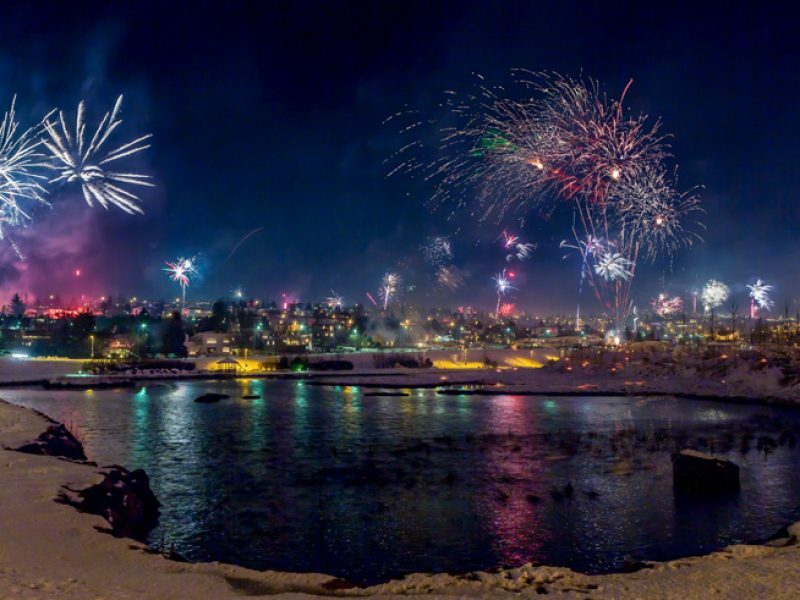 There is no ‘official’ firework display in Iceland- the displays are put on for people, by the people! It is an extraordinary experience to be part of and the scenes are incredible. All fireworks are sold by the Icelandic Association for Search and Rescue (ICE-SAR) and all proceeds from the fireworks go to ensuring the ICE-SAR has the best equipment – a great cause. Why not buy a sparkler or two? 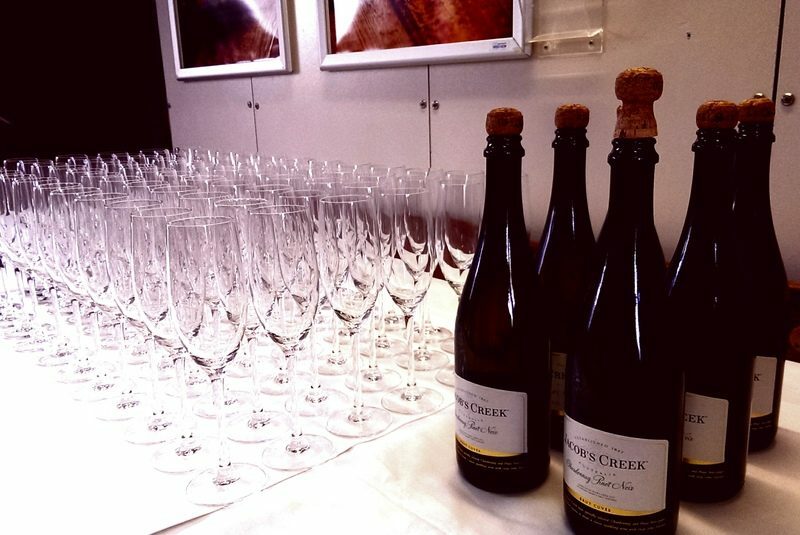 Fireworks, champagne and cruise? Say no more. Remember that when you raise a glass in Iceland, say “Skál”! *Pre-booking is highly recommended due to availability. 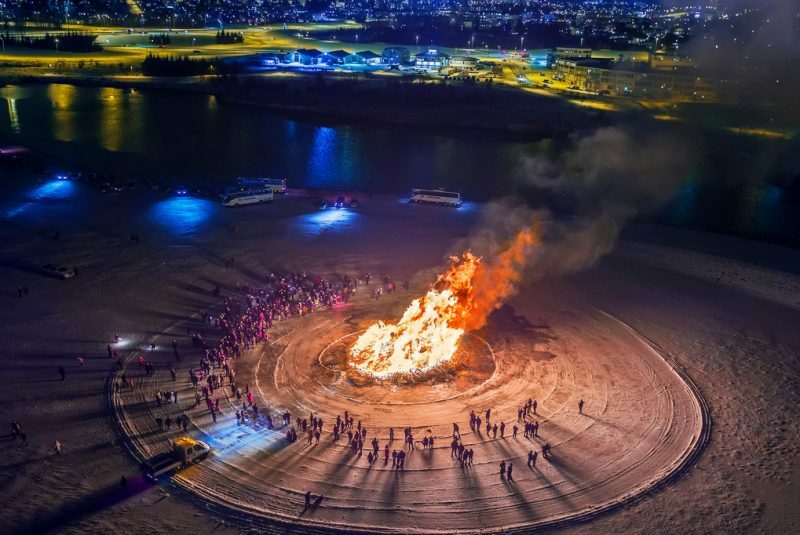 For more than 200 years now, 10 bonfires have been lit all around Reykjavik at 8.30pm – friends, family, neighbours and guests gather in the evening to reflect on the year behind and spread well-wishes for the year ahead. It is truly a unique experience. Broadcast annually since 1966, Áramótaskaupið is a comedy special broadcast which over 90% of the population tunes in to watch. The show creates satirical sketches of the year’s top stories. 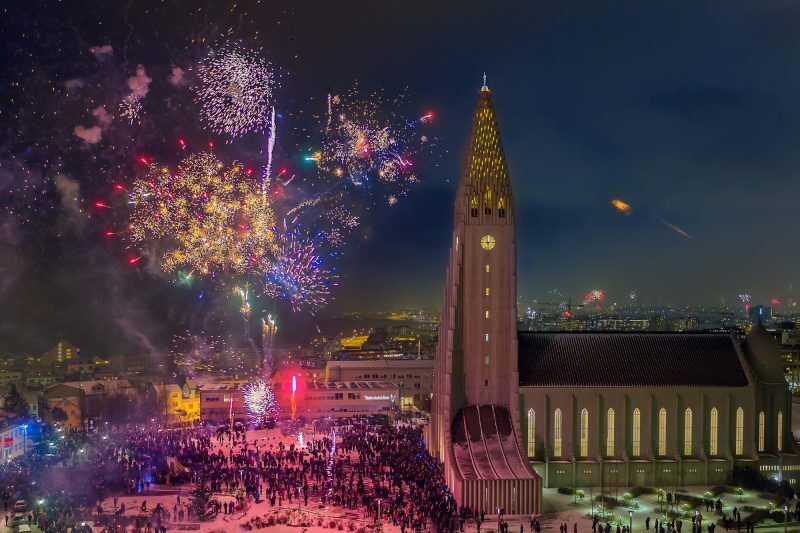 It is an important part of New Year’s celebrations for Icelandic families and is the talk of Iceland on New Year’s Day! Have no fear, the show ends before midnight so you can join in the rest of the festivities. Although the celebrations may be over, start your new year in style. 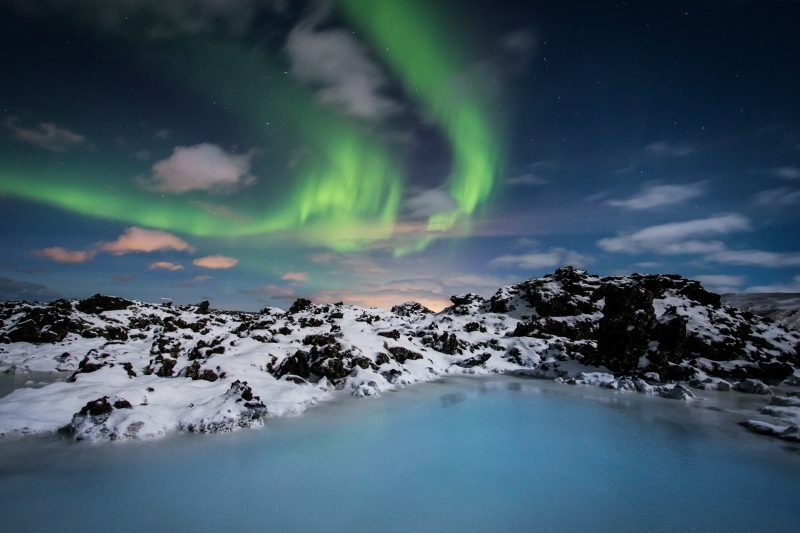 Perhaps bathe in the Blue Lagoon, explore Reykjavik or head out to Iceland’s incredible countryside to see some of the country’s natural wonders. A popular excursion, along the Golden Circle route, showcases a trio of natural wonders; Thingvellir, Geysir and Gullfoss. Please note that due to the popularity of the Blue Lagoon and in order to avoid delays upon arrival we strongly recommend customers to pre-book their entrance tickets in advance with an allocated entry time. Please contact our team to find out more. If Reykjavik ticks all your boxes, take a look at the holidays below. You can also send us an enquiry or contact our Iceland specialists for more information. We can create spectacular New Year’s Eve itinerary just for you!